It's been 6 weeks since we arrived back home after our trip to Europe. I figure it's probably time to share a few of the amazing things we experienced during our 2 weeks away from home. This was Ari's first major trip. First plane ride, needless to say I was a little anxious about how it was going to go. There is only so much one can pre-plan and prepare, but I tried my best to get as much organized before we left as possible. As it turns out, Ari is an amazing little traveller. She rocked that plane like nobody's business. We brought a few key items to get us through...namely tasty snacks, enough fluids, and a few entertaining bits and bobs (skinny, easy to pack books, a fun kids movie, and a few fun stickers and pens). Our first location was... ahhhh, Paris. I had been here once before in my early twenties. And I had been dying to get back since the moment I left. Paris is definitely one of my favourite cities I've visited so far in my lifetime. And this time round did not disappoint. We got an amazing Airbnb place close to Luxembourg Park, and the weather was fabulous. We must have walked that park every day, pushing the stroller and soaking in something new and beautiful each time we walked through the pathways. 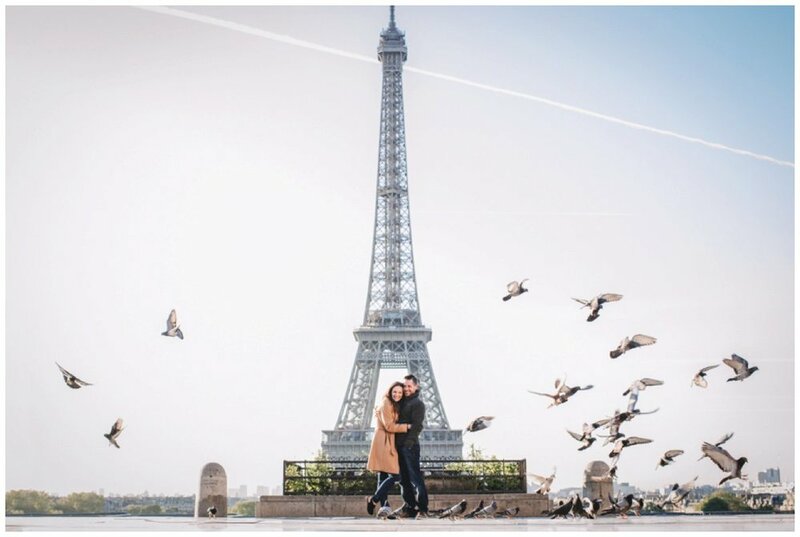 Our first day in Paris, we had to make our way to the Eiffel Tower. It wasn't officially in the plans for the day, but our 'walk around the neighbourhood' turned into a curious wander in the direction of the tower. And eventually we just couldn't help ourselves but to see if we could get there! And we did. It was so exciting to see the tip of the Eiffel Tower peeking through the buildings, and finally having it come fully into view. We made our way to it, and had a little lay-down underneath as we just took in the upwards view. Even though these photos weren't taken till a few days later, these are such special memories of the Tower. 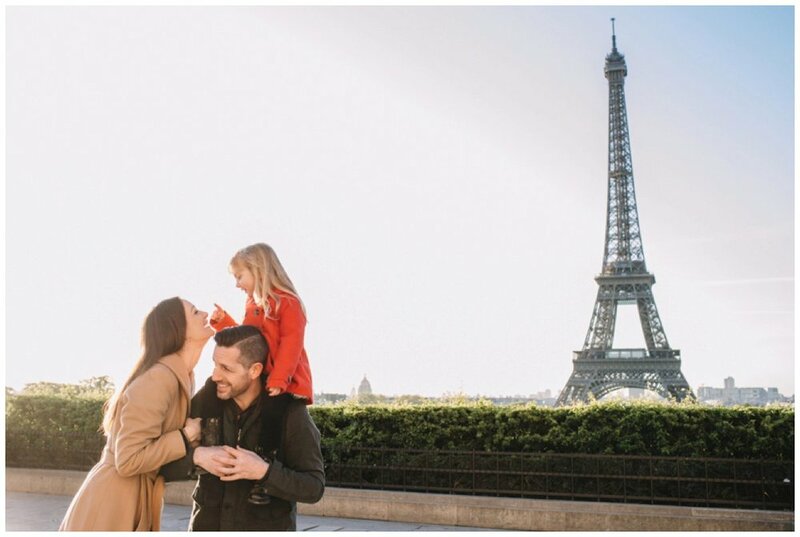 One of my 'preparations' for Paris, was to book a family photo session while we were there. And it just had to include the Eiffel Tower. So, we met up with a wonderful local photographer, Olga Litmanova, at sunrise. If you can make it happen, it is a special way to experience the view, as it is such a quiet, peaceful time of day in a place that is normally full of tourists. And since we are usually up with Arianna at 6AM on any given day, a 7AM photo session didn't seem too impossible to make happen! It was worth it, as these photos are going to be mine to cherish forever... and that is exactly what I plan to do.